Thanksgiving is a peak day for home cooking fires. The number of home fires double on Thanksgiving. So, let’s add a pinch of fire safety to the menu. 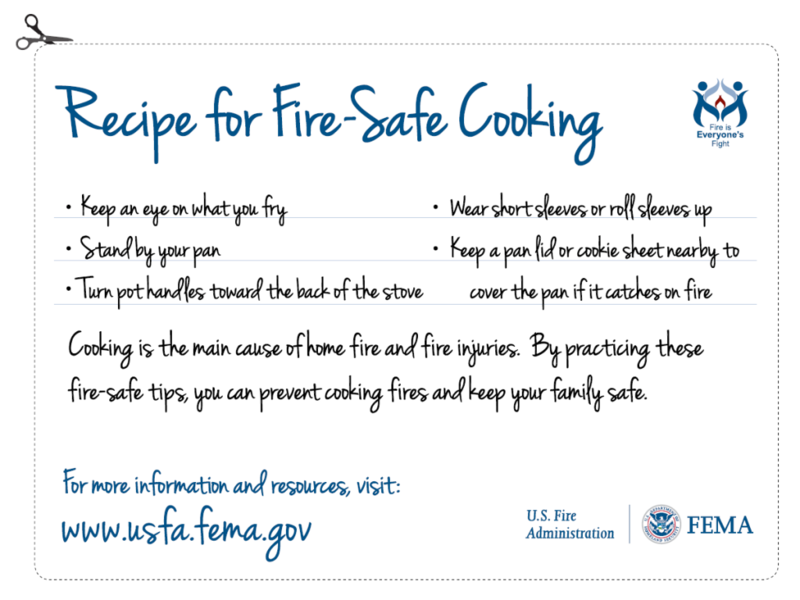 Keep these safety tips in mind as you prepare your meal.